ftefoundation.org - FTE DIRECTOR OF OPERATIONS SHARES FTE SUCCESS STORY AT UNESCO-UNEVOC CONFERENCE! FTE DIRECTOR OF OPERATIONS SHARES FTE SUCCESS STORY AT UNESCO-UNEVOC CONFERENCE! On July 4th, 2013, Technical and Vocational Education Training (TVET) professionals from around the world gathered for the UNESCO WEBEX Live Conference, as part of a series of events for the 2013 UNESCO-UNEVOC Virtual Conference On Youth and Skills. Taking place from July 9th – 25th, the virtual conference provides a platform for TVET professionals to address the important role TVET plays in tackling youth unemployment. The topics of youth and skills, school-to-work transition and entrepreneurship education are key thematic priorities for UNESCO in 2013-14. 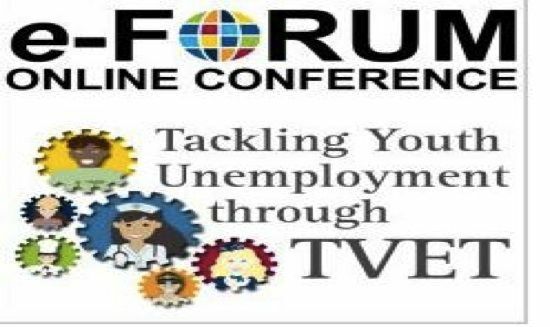 Through the e-forum and conferences, UNESCO is calling out to members of the global TVET community to share their experiences, practices and concerns surrounding technical and vocational education and its role in providing employment opportunities to youth. Ashley Sims, FTE Director of Operations, was invited as a special guest speaker during the Live Teleconference to share FTE’s experiences in leveraging technical education to help transform lives and enable local development in East African Countries. Ms. Sims presented the FTE Education Model and offered key insights to why this model was proving successful to technical graduates at the pilot technical school KIITEC. She explained that in addition to the hands-on and student-centred education model, the approach to quality control including thorough recruitment, regular academic assessments and management reviews contribute to FTE’s graduate success rates. All contributions from the forum will be synthesized and summarized into a UNESCO final report to guide future TVET policy in tackling youth unemployment. Learn more about UNESCO’s Virtual Conference on Youth and Skills here.